Dutch website Shipbuilder has the following useful checklist for Splash readers. Big data. Many maritime organisations are preparing to start working with it shortly. It is one of the trends that fits right in with the so-called digital transformation. But what do you have to know exactly? It sounds so logical but often organisations don’t define a goal when they start working with big data. This makes it impossible to determine whether the outcome is successful. Set yourself a clear goal. Decide for example to specify, design, build and maintain ships ‘right the first time’. This makes it easier to follow a clear path to your goal, because you make every decision based on whether it brings you closer to the goal. Big data can be a great help when following the ‘right the first time’ principle. We’ll explain how that works below. 2. Let the computer rock! You think you’re working with single documents? Wrong! You’re already working with big data. And not just you work with big data, so do your colleagues, suppliers, clients, etc. We put a lot of information into specification overviews, drawings, calculations and planning files. There is one small issue (but we’ll fix that one!). You put that information in the wrong place, in the exact place a computer can’t do anything smart with it. Think about Word, a PDF, an email or Excel. But then where should you put this information? Ask everyone involved in the project to use a smart data management tool to insert data. Doing so helps you in the following ways. First of all you now have the data in a place where the computer really can rock. And secondly, this way you can truly leverage the data. Data management tools are made to intelligently connect data, so a computer can really add value here. Let the computer rock! It is not unheard of to have twenty different maritime organisations around the globe all involved in the same project. Sharing documents via email simply isn’t going to cut it. Why not, you might ask. Because how do you know the drawings and specs you received yesterday via email are still relevant? Perhaps your colleague has changed things in the meantime, and before you know you’re working with old data which opens the door to lots of trouble. An inbox simply isn’t a reliable data management tool, so you really shouldn’t use it as such anymore! Choose a data management tool that analyses and applies algorithms real time, so you can improve the way you work. 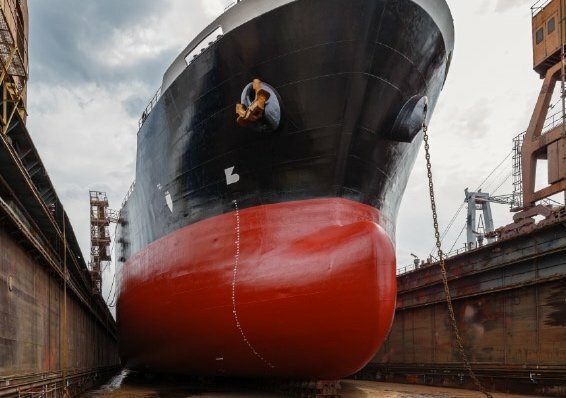 Shipbuilder allows you to work with data in real time. If a drawing changes you see that change across the world in real time. This is a tremendous improvement in terms of data reliability. Connectivity is a necessity! Just like a bunch of emails and single documents big data can be a mess. Ships and offshore constructions really are complex sets of data. This is why we advise to present big data in a way people understand best: visually. We use virtual reality (VR) to visualise data in full 3D. It’s a piece of cake now to study a ship’s compartment in 3D, with access to real time data relevant to this specific compartment. Besides this, dashboards are a tried-and-tested method to successfully use big data. A dashboard can show you all relevant information, such as project progress, budget, parts that have been used etcetera. Dashboards offer endless possibilities. They make projects easier to oversee and offer all the data needed in real time. Choosing a data management tool that includes virtual reality and dashboards is a no-brainer. 5. Invest in the first steps! Let’s give it a go then! But where to start? Shipbuilder’s advise to clients is to first change your mindset. Stop working with single documents, and start working with connected data. Of course this is not an easy process to start, and everybody can use some help with the digital transformation. A workshop with maritime IT experts help you kick-start the process. They will eventually help you plan the next step; working with an intelligent data management tool. From our experience we know input from experts is crucial when you start working with big data.